In four-plus years of singleness, I’ve learned a thing or two about being single. But one particular thing I’ve learned during this time (sometimes learned the hard way), is that perspective matters. How you view God, yourself, others, relationships and singleness itself will affect not only your relationships, but how you interact with the world. Having the right perspectives are the foundation to healthy relationships and a fruitful life. I wasted some valuable time that I’ll never get back because I was so busy lamenting my singleness instead of leveraging it to pursue God, serve others and get to know myself. A change of perspective, however, can change everything. As I start to see my friends getting into relationships, walking down the aisle or even starting their own families, I can’t help but get frustrated at times — particularly with God. I pray and ask When will it be my turn? I’ll start to think that maybe God has forgotten about me, that He is distant and unconcerned with my desires and prayers for companionship. But if there is one thing I’ve always come back to, it’s that God has a plan — even when I don’t understand (or necessarily like) how it’s working itself out. He is concerned with my life and yours. He does care about what you’re feeling and going through. And in the most difficult circumstances of my singleness, remembering who God is will help us run to Him instead of running in the opposite direction. In addition to losing a proper perspective of who God is during singleness, it’s also easy to lose perspective on who we are. We start to look for reasons why we’re single– maybe it’s because there’s something wrong with me, or that I’m not good enough, smart enough, or good-looking enough. We’ll feel like we are not loved or cared for and settle for potentially toxic relationships as a result. 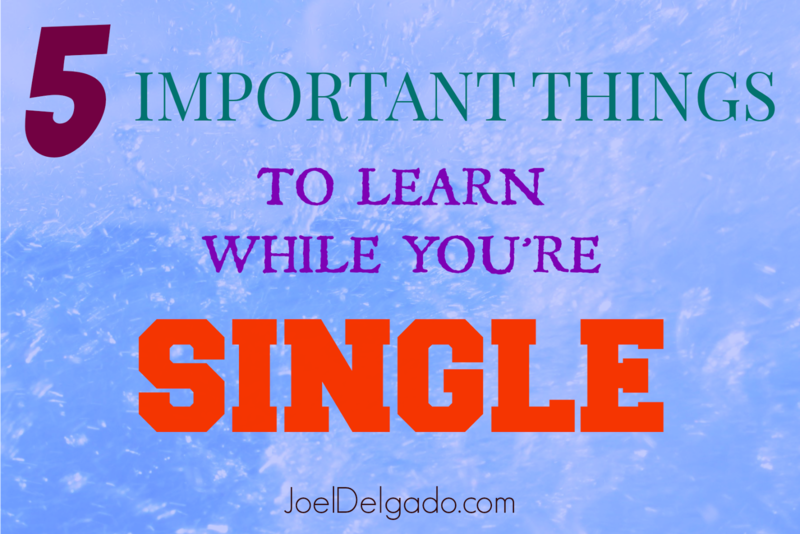 Being single is not an indictment on who you are. When God looks at you, He sees a masterpiece. You are His work of art. He knows everything about you and He still loves you — and nothing could ever change that! When you are secure in who you are in Christ, that’s when you can really begin to appreciate who you were created to be and love others out of your strengths instead of your insecurities. chessboard. They are not competition or the standard we compare ourselves to. And they will never, ever be able to save you. Don’t put those kind of expectations on others, because you will be let down every single time. Just like you were fearfully and wonderfully made, so are the people around you. There has never been a person you or I have locked eyes with that God doesn’t love, and we are called to love and serve others. We are social beings. We are meant to be in community and building strong relationships with others helps us grow and live life in an exciting way. But relationships, romantic or otherwise, will never provide us with fullness. They will never complete us the way Hollywood often times says it will, and holding that dangerous perspective on relationships will only lead to heartache and pain. Healthy relationships are those in which both members are constantly encouraging one another, sharpening one another and building each other up. Most importantly, they point each other to Christ and help us become more like Him everyday. If you’re single and hoping to one day find someone whom you want to spend the rest of your life with, that’s not a bad thing. It’s a God-given desire that He may one day fulfill. But it’s important to remember that completeness and purpose comes from one thing only: a relationship with God. I’m a sucker for the Rocky film franchise (except for Rocky V, but I digress) and my favorite moments in each film aren’t necessarily the climactic fights, but the training montages. He’s running up stairs or mountains. He’s practicing his punching combinations. He’s building strength. Those sequences in each film are the fight before the fight. If Rocky doesn’t train or deal with his own personal dilemmas before the big fight, he wouldn’t have stood a chance in the ring. Singleness is the same way. It’s the fight before the fight. It’s our chance to get to know who we really are and who we are looking for in a potential spouse. Singleness gives us a chance to pursue our passions, develop character and serve others in ways we won’t be able to when the big fight comes. Don’t waste your single years passively waiting. Start training now! Thank you so much for posting this! Several years ago, God put it in my heart to stay away from dating and instead just trust Him and His plan for my life, knowing that He is more than able to bring me together with the man that He's called me to be with. And though I know that the waiting process is all a part of God's plan for my life, it's in no way easy. But you are completely right when you say that our time of singleness should be used to pursue God, serve others, and prepare ourselves to be the spouses that God has called us to be. Thanks again for the encouragement! I'm really glad you were encouraged! Thanks for reading!